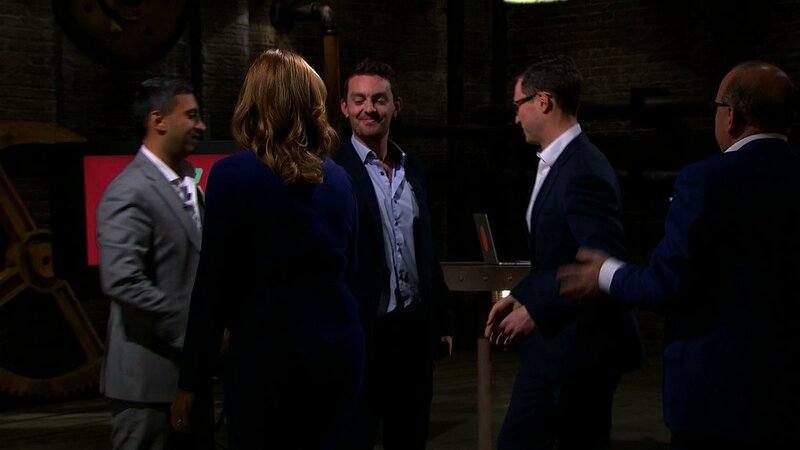 On Sunday the 20th, a client of ours was featured in the closing quarter of BBC2’s flagship business show, Dragons’ Den. For regular blog readers, Pouch are the clients that asked if they could ‘have some of what [the team] was smoking’, based on these early PR results (there have been many more great pieces, since, too, and I’m confident there’ll continue to be!). Pouch is a discount-focused startup aiming to ‘make voucher code websites extinct.’ I’ve previously had 5+ years working with the leader in the voucher codes space, and really do believe the guys are onto something with their browser extension, which means you don’t have to go hunting for valid codes anymore, and aim to conquer mobile savings, too. Well, Pouch walked away with the support of 3 Dragons that believe in the idea, too – having had their pick of all 5, (in one of the rarer occurrences in the show’s 14 year history, we’re told). Pouch did something unique last night to accompany the show. The team decided to live-stream their site traffic, as seen in real-time through Google Analytics, DURING the programme, using Facebook Live from their page. At one point, there were just shy of 33,000 people on the site at one time! This won’t necessarily be the case for every business that appears on the show, but it’s a good (/the only?) indication we’ve seen yet. PR and marketing isn’t all just ‘push’, though. By using social media in the way Pouch did, we’ve all been able to listen, to see that in among the overwhelmingly positive feedback, there are many asking about using Pouch on mobile. Pouch’s internal research suggests that the majority of voucher codes are used on desktop (a wise man once told me you ‘go out with the product you have, not the product you want to have, otherwise you’ll never release at all!’), but investment into the company has and will continue to go towards being mobile-friendly. The guys are hoping to have something ready in/around the New Year. All-in-all, an amazing experience for the guys, I’m sure, and an opportunity to look at data that’s not been seen before! Want to read more about it? Here’s the whole Den experience in the words of co-founder Jonny Plein: ‘How we got 5 offers on Dragons’ Den‘.